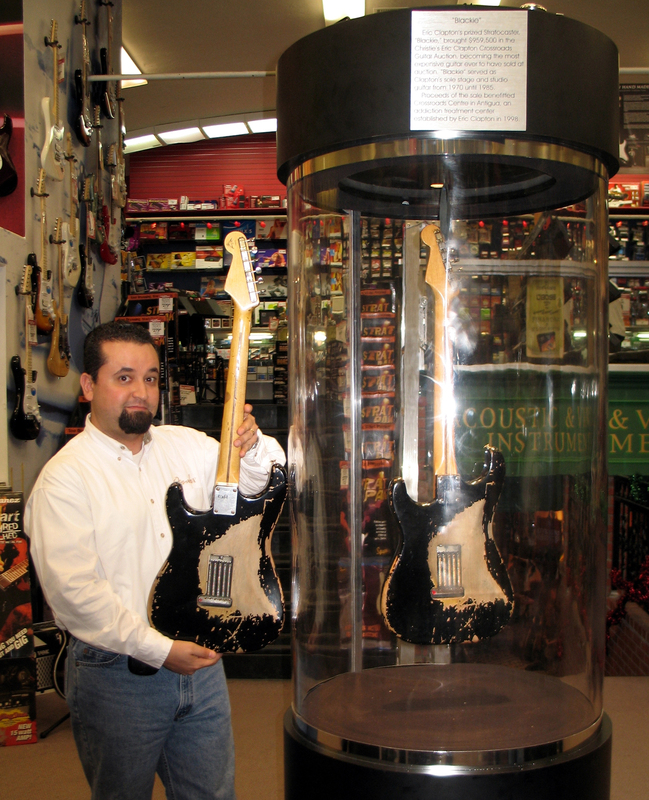 Tony Motta, Fender/Guitar Center National Accounts Representative, is pictured holding the recreated BLACKIE® which goes on sale November 24th, standing next to Eric Clapton’s original BLACKIE® in a bulletproof display case. Photo by Michael Doyle. (This photo is the property of Guitar Center and may be used by the media only for the purpose of one-time reproduction. Unauthorized use, alteration or reproduction of this photograph is strictly prohibited). WESTLAKE VILLAGE, CA, November 17, 2006 — As Black Friday (November 24th) quickly approaches, guitar enthusiasts and collectors have begun to inundate Guitar Center, Inc. (NASDAQ: GTRC), the world’s largest musical instrument retailer, with phone calls and inquiries, all trying to get the latest information on BLACKIE®. One of the world’s most influential electric guitars, the Fender Stratocaster® guitar once owned by Eric Clapton and affectionately known as BLACKIE®, has been recreated by Fender’s renowned Custom Shop and will be made available to the general public on November 24th. Available in the U.S. exclusively from Guitar Center at an MSRP of $24,000, 185 of the instruments are being offered with a portion of the proceeds benefiting the Crossroads Centre, Antigua. On Friday November 10th, Guitar Center began a nationwide display of the recreated BLACKIE® guitars, kicking it off at GC’s Hollywood store with the unveiling of the original BLACKIE® — which has not been seen in public since it was sold to Guitar Center for $959,500 at a 2004 Christie’s auction. The original BLACKIE® will be on display at the Hollywood store through April 2007 while the recreated BLACKIE® guitars are currently on display at 46 select GC locations including Austin, Atlanta, Boston, Chicago, Dallas, Las Vegas, Los Angeles, Nashville, New York City, Richmond, San Francisco and Seattle. For other locations please visit www.guitarcenter.com/clapton. 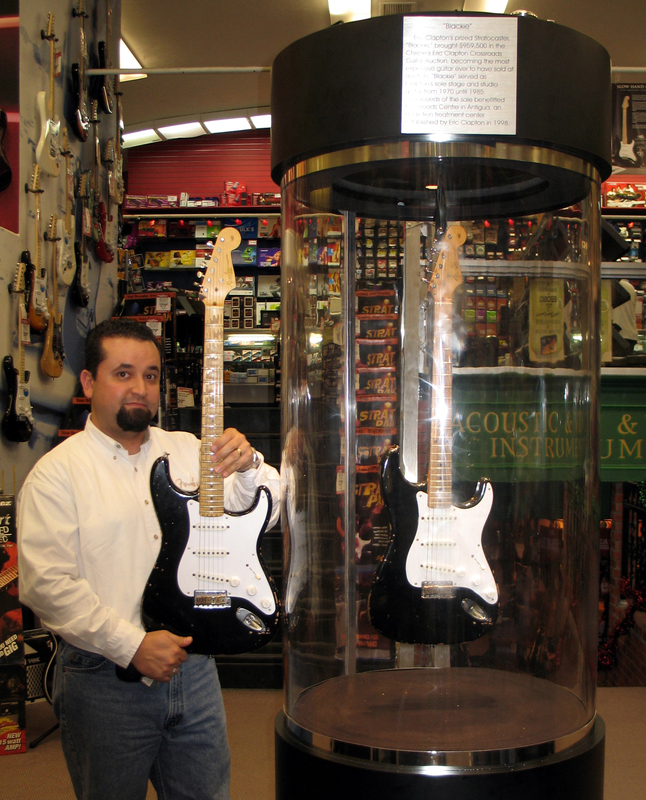 Photo Caption: Tony Motta, Fender/Guitar Center National Accounts Representative, is pictured holding the recreated BLACKIE® which goes on sale November 24th, standing next to Eric Clapton’s original BLACKIE® in a bulletproof display case. Photo by Michael Doyle. (This photo is the property of Guitar Center and may be used by the media only for the purpose of one-time reproduction. Unauthorized use, alteration or reproduction of this photograph is strictly prohibited). BLACKIE®, a mid-1950s Fender Stratocaster guitar pieced together by Clapton himself from numerous individual guitars, was Clapton’s main instrument throughout the 1970s and ’80s. Clapton’s albums 461 Ocean Boulevard, Slowhand, No Reason To Cry and Just One Night, among others, were all recorded with BLACKIE®. And in addition to memorable solo tours, Clapton and BLACKIE® shared the stage with the likes of Pete Townshend, the Rolling Stones, Bob Dylan, Muddy Waters and The Band. This historic addition to the Custom Shop Tribute Series replicated BLACKIE® down to the smallest of details — from the worn-to-the-wood body, to the neck re-shaped by Eric’s hand as he played a thousand heartfelt solos, to the unmistakable cigarette burns on the headstock. Guitar Center is the leading United States retailer of guitars, amplifiers, percussion instruments, keyboards and pro-audio and recording equipment. Our retail store subsidiary presently operates more than 195 Guitar Center stores across the United States. In addition, our Music & Arts division operates more than 90 stores specializing in band instruments for sale and rental, serving teachers, band directors, college professors and students. We are also the largest direct response retailer of musical instruments in the United States through our wholly owned subsidiary, Musician's Friend, Inc., and its catalog and website, www.musiciansfriend.com. More information on Guitar Center can be found by visiting the Company's web site at www.guitarcenter.com. 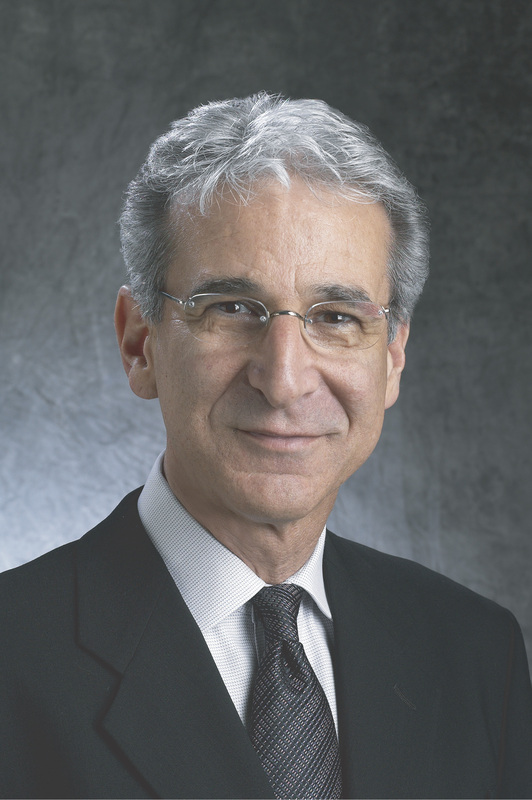 Copyright ©2006, Neilson/Clyne, Inc., All Rights Reserved.